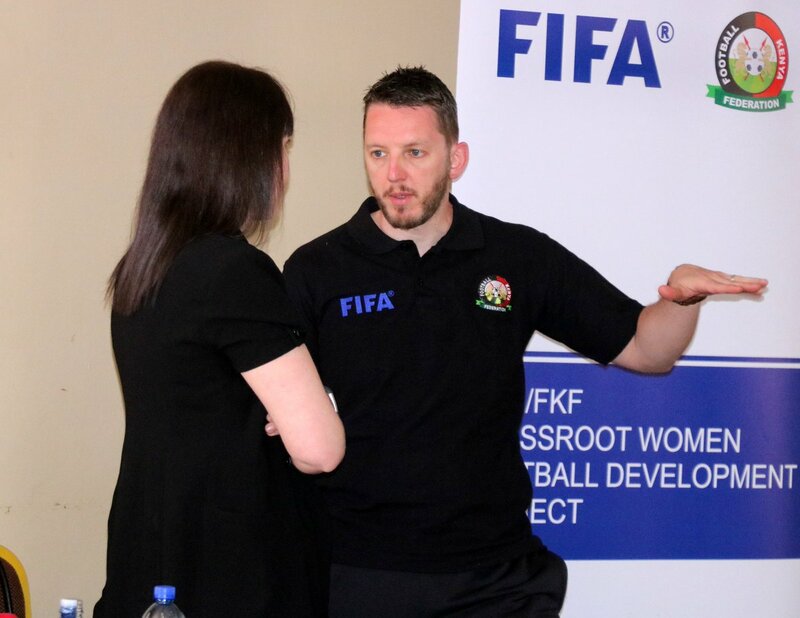 Football Kenya Federation, in partnership with the German Agency for International Cooperation (GIZ), has rolled out a workshop for FKF Women Representatives. The four-day workshop, which got underway on Wednesday, June 6, 2018, targets elected Women Representatives from the Federations branches. FKF Deputy President Doris Petra, who heads the FKF Women Committee, officially got the workshop underway on Thursday, June 7, 2018, further tasking the representatives with overseeing women football development at the grass root level. “Through this partnership with GIZ, we are aiming at exploring the development of women football at the Branch level,” said Madam Petra. “We are also seeking to empower the women reps to effectively use football as an avenue for social change,” added the FKF Deputy President. The workshop is part of FKF’s efforts in improving the levels of women football. FKF has in 2018 not only adopted a unified Women Premier League but also facilitated the participating clubs with grants. The Federation has also adopted the FIFA Women for Women Policy and in so doing has appointed Women to run the National Women U20 team, as well as professionalized the management of the senior National women team and the junior sides.